Announcement Romantic, classic jewelry immortalized by the world's most beautiful women inspires the collection by Elizabeth Bayu. Jewelry for the princess in you. Welcome to my jewelry store! I am a Philadelphia jewelry designer with a passion for bright colorful stones and precious metals. If you're in search of a special piece for a wedding, anniversary, birthday, prom or even every day pieces that you can wear to work and out and about. I love working on new and fresh jewelry designs in necklaces, earrings and bracelets. Feel free to contact me with requests. 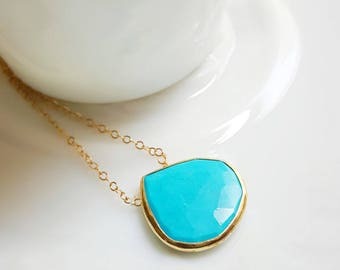 Become a Facebook Fan by visiting https://www.facebook.com/ebjewelry and get PROMO CODES AND SPECIAL ANNOUCEMENTS. Also be sure to check my blog for the latest in fashion, beauty and accessories at blog.elizabethbayu.com - you'll love what you see! My jewelry is handcrafted using 14 karat gold fill and sterling silver and highlights lovely gemstones. I love working with rare and semiprecious stones that have a special meaning. Many of my designs are one of a kind, so you can enjoy being the owner of an exclusive piece. If you would like to customize jewelry for yourself or someone special please let me know. Many of my clients customize special pieces for weddings, birthdays and other special occasions and as a designer I love that. Beautiful new pieces are frequently added so be sure to check in often. I hope you find something you love. Orders are shipped via 1st Class U.S. mail. If you have other shipping requests please note it at checkout. For our luxury handcrafted leather handbag collection please visit http://elizabethbayu.com. Enjoy shopping! Romantic, classic jewelry immortalized by the world's most beautiful women inspires the collection by Elizabeth Bayu. Jewelry for the princess in you. Just as shown in picture, very beautiful I'm sure she is going to love it! This is the most delicate precious piece, ever! I just could not be happier with my purchase. Shipping was exceptionally fast, packaging was so nice and the piece itself is absolutely stunning! Thank you so much! wonderful prezzy. My sister loved for her 30th. Gorgeous and timely mailing. thank you. Thank you for visiting the Elizabeth Bayu store! Take a look inside and you will find rare handmade jewelry using high grade materials and stones. We hope you find a piece that speaks to you and one that you'll want to make your own. Enjoy! We want you to love the jewelry you buy. We'll accept returns of unworn pieces in their original packaging up to 7 days after delivery. Just email us before sending it back and we'll refund your purchase (not including shipping) upon receipt of the returned item(s). PayPal is an accepted form of payment. If you do not have a PayPal account, we also accept credit card payments via the PayPal site. Payment is due at the time of purchase. Any purchase made that is not paid for within 24 hours will be cancelled and re-listed. If you have special circumstances, please contact us prior to the sale and we will try to accomodate your request. We ship USPS First Class with delivery confirmation in the US and internationally. Since we cannot be responsible for lost, stolen, or damaged packages, please let us know if you'd like to add insurance. Most items are made to order, unless otherwise stated in our listing and leave our studio within 1-3 days by USPS (custom bridal party orders and international customers--please allow more time for delivery*) in our special gift box. ** International packages take approx. 1-4 weeks to arrive depending on country and tracking number may not be provided. Some countries take more than 4 weeks. ** International buyers are subject to all taxes and fees that may be charged by customs.